Official bottlings from the Islay distillery of Port Ellen are something of a phenomenon. 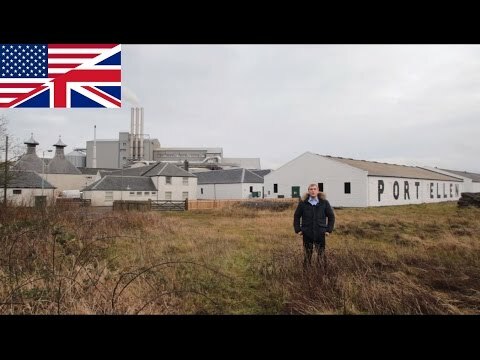 As a recent heading in The Guardian highlighted, since the closure of the distillery almost thirty years ago, Port Ellen has continued to prosper. The single malt now sells for £1’500 on average per bottle. After its operational lifetime, the proprietor of Port Ellen, diageo, released a number of official bottlings. All of these official expressions, called Annual Releases, were from older casks, ranging from a 20 year old to a 35 year old, with an official bottling of almost every single age in between. In addition to this extensive collection of official bottlings, Port Ellen single malt has also been released by a great deal of independent bottlers. Douglas Laing and Gordon & MacPhail have released a vast number of bottlings of the single malt at all ages. But the most impressive amount of independent bottlings of Port Ellen has been done by Signatory Vintage. Rumors tell, that they have bottled more than 100 casks. Although it now currently is primarily known for its single malt, Port Ellen was also used in a number of blends, including King of Scot, Big Peat, and King George V.
The old still house of the Port Ellen Distillery. Port Ellen had a fairly modest production capacity, standing at only 1.2 million liters a year. The water used in production is drawn from the Leorin Lochs on Islay. The production at Port Ellen had a couple of unique facets, the most noticeable of which was that the distillery’s pot stills were heated by mechanical coal stokers, which then switched to steam heated coils. Due to the enormous volume of peat on the island, most of the water on Islay actually runs brown, including the water in Leorin Lochs. The presence of peat in the water helps contribute to the unique flavor of the Islay whiskies. View of the Port Ellen Maltings. The distillery had four pot stills; two wash and two spirit. The wash stills had a capacity of 28’000 liters where the two spirit stills were smaller with a capacity of 25’000 liters. All of the pot stills had a distinctive onion shape, with large, rounded spherical lids and tall vertical necks. Port Ellen is reputed to have been the first distillery to incorporate Septimus Fox’s spirit safe design into the distillation process. As is characteristic of Islay malts, Port Ellen was incredibly heavily peated. Islay itself is largely composed of peat, as layers upon layers of sphagnum mosses and other vegetation have been rotting away on the Islay for hundreds of years, creating compact black banks of peat. The peat used in the production was sourced from Duich Moss, which lay on Islay itself, completely localizing the entire production process. The distillery used traditional malting floors until 1974, at which point the site switched to drum maltings. These drums were a fully automated installation, and resembled washing machines on an operational level. Since the closure of the distillery, the site has been converted into a maltings site. Port Ellen now provides maltings to any of the distilleries on Islay, and further afield. The maltings has been massively successful since it’s opening. This has allowed the legacy of the distillery to continue to live on. Port Ellen Maltings is the only commercial maltings facility located along the entire West coast of Scotland, and it is the only one to use peat in the kilning part of the process. It is the peat and the smoke from it being burnt that gives the barley, and ultimately Islay’s whiskies, their distinctive smoky flavor. The druming floors of the Port Ellen Maltings. The warehouses at Port Ellen, along with the maltings, have survived the closure of the distillery. The distillery has a series of both dunnage and racked warehouses. In addition to holding the remaining casks of Port Ellen, the warehouses are now used by a number of Islay distilleries from the proprietor diageo, particularly Lagavulin and Caol Ila. For the maturation of Port Ellen itself, the distillery used 80% Bourbon barrels and 20% Sherry casks. An old warehouse of the Port Ellen Distillery. General opinion goes that Port Ellen is one of the greatest of all of the lost distilleries of Scotland. Technically, Port Ellen is actually closed but most of the buildings are still intact and protected by preservation order. Port Ellen was founded in 1825 by A. K. Mackay & Company on the Kildaton south coast of Islay. The Laird Campbell was also instrumental in the establishment of the distillery, as he was the highest-ranking clan official on the Isle at the time. Alexander Kerr Mackay, who was the head of A. K. Mackay & Company, headed up production at the site, but a few months into production he ran into serious money problems and was forced to transfer the running of operations to three of his relations; John Morrison, Patrick Thompson, and George MacLennan. In 1833, production was taken over by John Ramsey, who was a cousin to John Morrison. Three years later, Ramsay was given an official lease to distill on the island indefinitely by the Laird of Islay. When Ramsay died in 1892, his widow Lucy inherited the site. Lucy ran the distillery until her death in 1906, at which point the distillery passed to her son, Captain Ian Ramsay. After being in the Ramsay family for almost 100 years, in 1920 Ramsay sold the distillery to Buchanan-Dewars. Buchanan-Dewars transferred the running of the distillery to the newly established Port Ellen Distillery Company Limited. In 1925 the distillery was transferred to the constantly growing Distillers Company Limited. Production was halted in 1929 due to the influence of Prohibition on the global whisky market. In 1930, the distillery was transferred to Scottish Malt Distillers, who mothballed the site. Production resumed at the site in 1967, at which point the number of stills was increased from two to four. In 1973, a large drum malting plant was built. The distillery was mothballed again in 1983 in the big British recession, and this time it remained closed. The site was officially closed in 1987, and the equipment used in production was dismantled. Despite the distillery’s closure, Port Ellen has continued to provide maltings to all of Islay. Sadly, there is no formal visitor’s centre at Port Ellen. The distillery does not offer tours year round, but it does provide the opportunity to be given a tour of the maltings and warehouse facilities during the annual “Feis Ile” Islay whisky festival; you just have to be sure to book in advance to reserve a place. Share your experience with other whisky lovers. Write a note about your trip to the Port Ellen distillery.